Mankind is just as good as destruction as it is creation. And like yin and yang, both are necessary for creativity. TEDx Amsterdam and agency We Are Pi beautifully illustrate this dichotomy in "Balloons," an art project in partnership with artist Guido Verhoef. 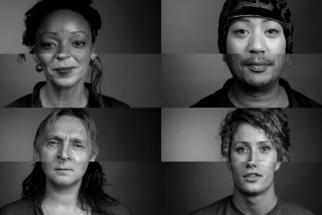 The video, which shows creation borne out of (and despite) destruction, spotlights "Human Nature," the continuing theme of this year's TEDx Amsterdam event, which will explore the limitations and possibilities of humanity. Earlier this year, We Are Pi worked on "Human Kaleidoscope," another visual treat that showed a massive human arabesque, all captured in camera. For TEDx Amsterdam last year, they worked on a brain made of human dancers.